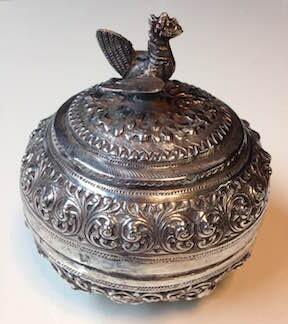 This type of repousse bowl is often described as a lidded betel bowl. 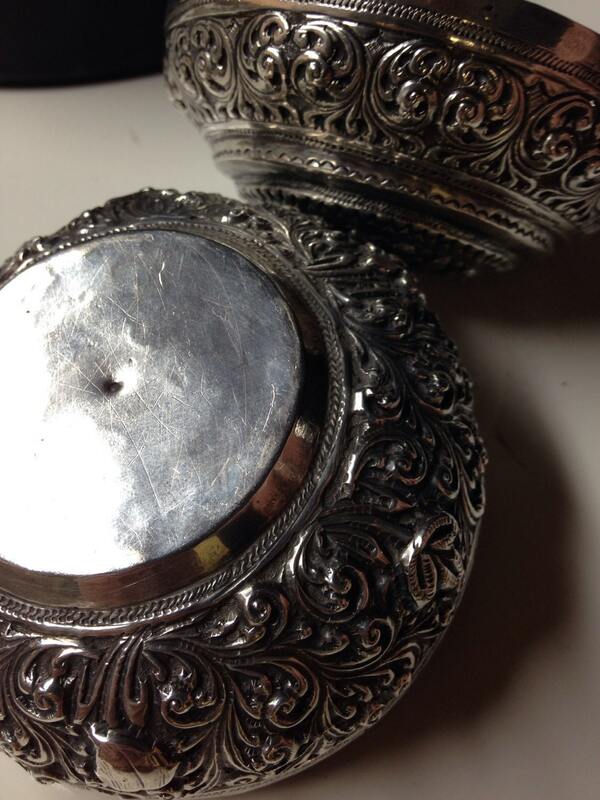 The betel nut is a popular psychostimulant in Southeast Asia, and was often stored in these elaborate boxes. 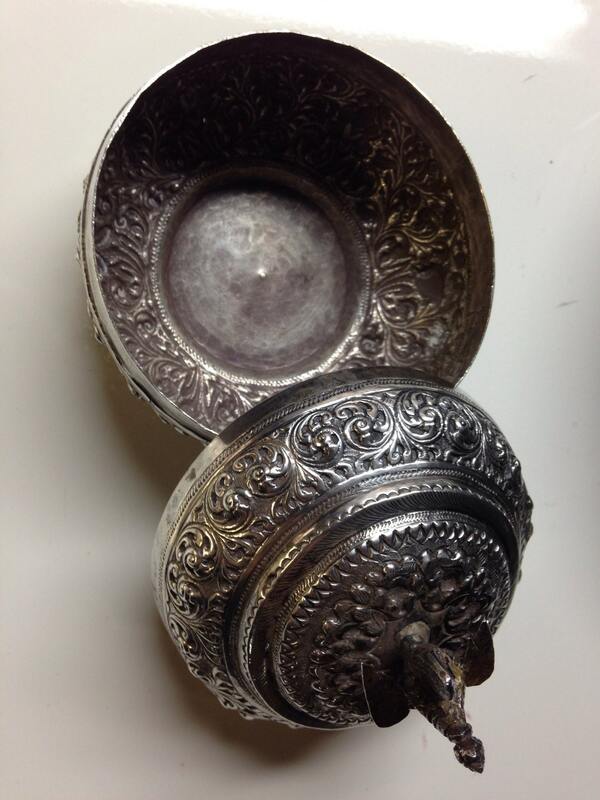 It's the perfect size to store your earrings, rings, or other little treasures. This covered box was made entirely by hand in the 3rd quarter of the nineteenth century and hammer marks and other tool marks are evident. 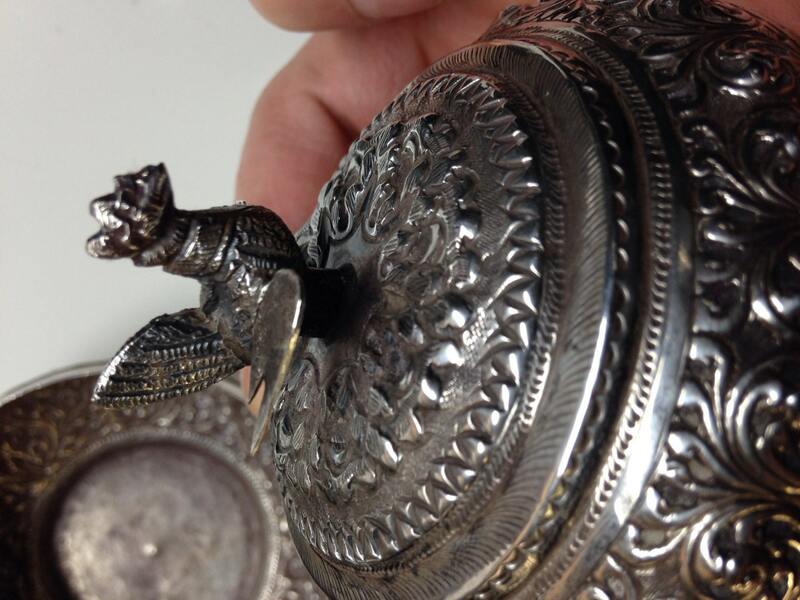 A tremendous number of hours would have been spent to make this beautiful piece of silver. Weight is 116 grams. Dimensions: 85mm (3.3") diameter across and 85mm (3.3") tall. 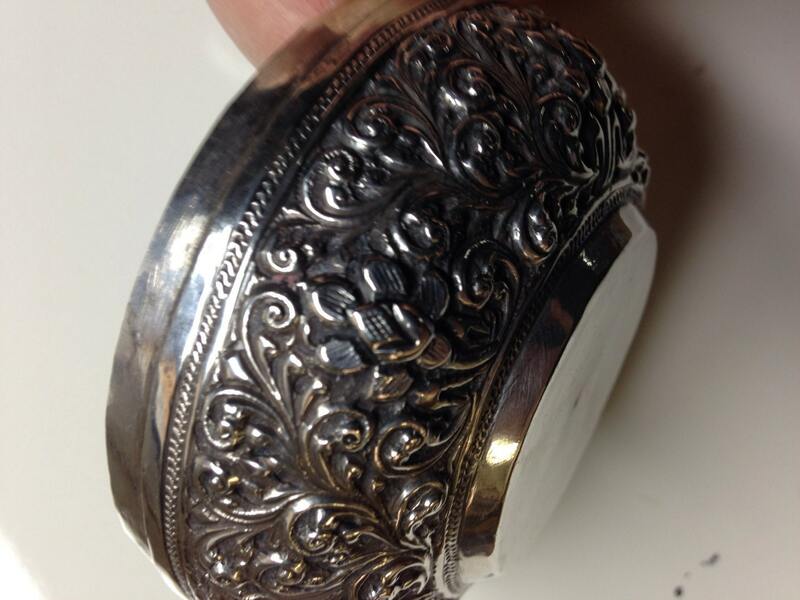 This item is not hallmarked, but sterling is guaranteed. Condition is perfect with a rich patina.